Please Read and Share this with your Artist Friends. As some of you know I have been a designer for 15 years now (here is my Portfolio https://www.alpha2design.co.uk/) and I’m setting up OhShe Designs design studio with my husband Steven who is a senior web & software developer. To build our OHSHE portfolio we are offering a FREE Artist’s secret website makeovers worth £2500 each. 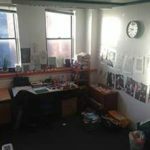 Are you a Painter, Sculptor, Architect, Photographer, Writer, Musician, Cultural/Arts non-profit organisation or working with ceramics, metal or glass? In April we are offering a free web design & development to Artists and charities. Edinburgh Art Festival is pleased to announce the open call for submissions for our 14th edition (27 July – 27 August 2017). We are currently seeking expressions of interest from creative practitioners for the Art and Therapeutic Design (ATD) programme for the new Department of Clinical Neuroscience (DCN) hospital in Little France, Edinburgh. 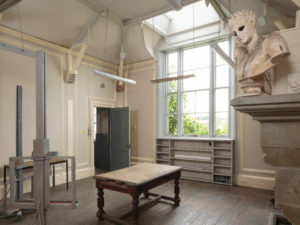 These exciting opportunities include three 12 month fellowships and a 12 month artist residency. Funding Opportunity | Only a few days left to apply! South of Scotland Visual Artist and Craft Maker Awards 2016-17 – Only a few days left to apply! Call for artworks to be exhibited with option for purchase during a private event on Wednesday 19th October 2016, 5:00-7:00pm, at Health for Life, 56 Montrose Terrace, Edinburgh EH7 5DP. The evening event will coincide with the 12th Birthday Celebration of Health for Life Spinal Wellness Centre, and will also feature live music accompaniment and sparkling drinks. Exhibition continues to Thursday 1st November 2016. Get your artwork seen on the Royal Bank of Scotland’s 30 metre poster at Edinburgh Airport! Attention all creatives. Win the ultimate showcase for your work. 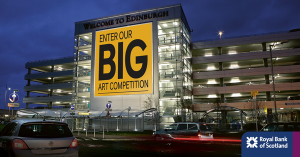 The Royal Bank of Scotland is offering a unique opportunity to have your artwork displayed on one of its most iconic advertising sites, the Edinburgh Airport. Following the Light Bytes event series, there is an open call for Curiosity Awards proposals of £1,000. 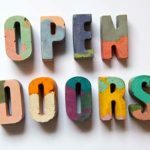 Creative Edinburgh are looking to support six collaborative prototype projects which explore creative technologies by cultural organisations and technologists.